Hello! I thought I’d use my first post on my brand new website to wish everyone a Happy New Year. 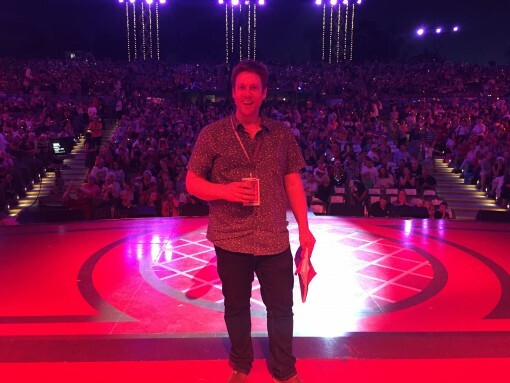 I’ve just finished working behind the scenes on Carols By Candlelight for the umpteenth time – TV is my other job – and consequently I’m still feeling the festive vibes. This is a pic of me on stage at Carols. Don’t worry I wasn’t tempted to belt out a tune. I hope 2016 is a lot of fun for you. Apparently it is the year of the monkey. So, if you’re a monkey reading this I’m pleased to say that you should have a ripper of a year. Bananas aplenty! Bring it on.